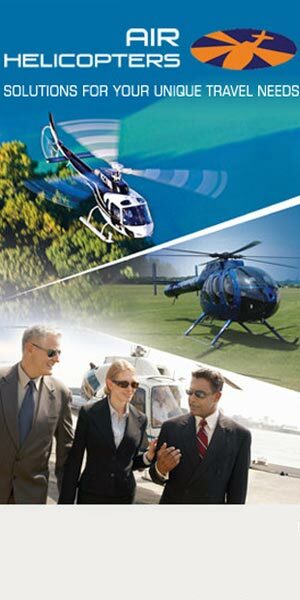 Visiting Maui is incomplete if you don’t take an air tour with Maui Va Air Tours. We’re here to show you those beautiful parts of the Maui islands that are not accessible by boat or on foot, and the most amazing landscapes that can’t be seen from the ground level. 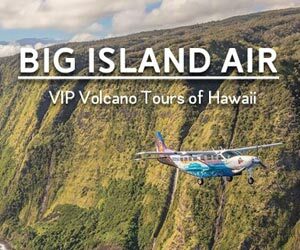 Pay us a visit and book an air tour with one of our agents, and Maui Va Air Tours will help you have an amazing experience in just a few hours. Don’t hesitate to do this, as it’s something that you can’t miss when you’re here in Maui! When you come to Maui, you think about relaxation and enjoying some quality time. There are countless things that you can do here, but, above anything else, there’s one thing that you should really try – an air tour over Maui. Let’s see what you need to know about it and what the main reasons are why you should make such a tour. Yes, the landscape is marvelous, and you can’t see it clearly from the ground. 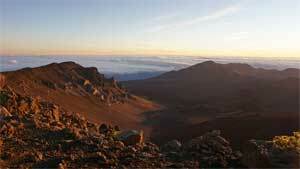 Maui is the second largest island from the archipelago of Hawaii and it has places that you can’t reach on the ground. The access to some places on the island is impossible on foot or on boat, and seeing these is only possible with a helicopter. You’ll also see the beaches, the natural parks, some of the trails that can be seen from above, the beautiful Road to Hana, which you should also try with a car and amazing rock formations that are better observed from the sky. Seeing an overview of the island will give you better orientation possibilities. It’s a large island indeed, but apart from the amazing landscapes that you can see, you’ll also see how the cities are located, coastlines, roads and other focus points of this area. It’s not something that you realize when you’re on the soil, but from above those things are easy to spot. 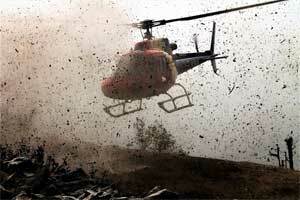 The helicopter can take you wherever you want to go, for the time that you’ve rented it. It’s cheap compared to the experience that you have. It’s true that the price will vary from $100 to $400, depending on the tour operator that you find, but you’ll get great photos and amazing memories. It’s actually cheap if you consider also that you’ll see a big part of the island or even the whole area in just a few hours, a thing that you can’t possibly do on the ground in the same given time. As it happens with most tour operators, you can choose the route that you take. The pilots will tell you where they can take you and how much time it takes to go in a certain place. You can choose between one hour or a few hours, depending on what you want to see and how much you can afford to pay. Of course, you can share the helicopter with a few friends, and the trip will be even more amazing. You don’t get to overfly an island every day, and because of everything that Maui has to offer, it’s something that you really have to try. Overcoming the fear of flight can be very easy, but since you’re here, it’s one of the things that you have to check on your checklist. If you’re in Maui, you’re here for one thing only, well several things actually – to enjoy the water, the beaches, and the landscapes. However, there’s one thing that you have to really try – a flight over Maui with a helicopter, as this is indeed the crowning of the activities that you can do on this island. You certainly have internet access at least at the hotel, so this gives you the possibility to check out local air tour operators that can help you in taking an air tour over the island of Maui. You’ll find at least four or 5, so check out the websites and see all the details. Another good thing to do is to talk with someone from the reception of the hotel and ask their recommendation. Being the type of activity that many people choose, they know who the best operator is or which has the lowest prices. However, keep in mind that with a low price comes also a short time, so make your choice wisely. Once you have more details about at least a few operators, give each of them a call. You can ask several questions on the phone or you can ask for an appointment and find out more details once you get there. The island has a concentrated population so it’s easy to reach the operators. Once you get there, make sure you ask about safety, security and, of course, pricing. The prices will vary depending on several details – the number of persons, the destination, the length of the air tour and so on. Ask if you’re allowed to take photos or if you have to pay for them, ask about pre-set tours or discounts that they apply. In any case, you can ask anything you want to know, and if you get satisfying answers, choose the one that suits your needs. You won’t need necessary preparations once you book an air tour. However, make sure you’re not sensitive to heights and overflying, as the helicopter can make pretty movements in the air. Take your photo camera, your friends, and your wallet, and get ready to have a marvelous experience. If you take the tour close to the sunset, you’ll also be able to get amazing shots for your memories. It’s one of the things that you can’t miss while you’re here, so try it out when you reach Maui! Check out our website at Maui Va Air Tour and book an air tour with one of our helicopters. You can leave your contact info directly online, or you can give us a call and we’ll tell you all about our offers. Check out what we have to offer and get amazing memories from the air tour! All Rights Reserved. © Maui VA Air Tours 2018.